A simple monetary donation ensures that we’re able to continue helping our neighbors in need. We’re a nonprofit organization, so your donation is critical to fulfilling our mission. Consider a one-time donation. Any amount helps create warm and comfortable homes for our neighbors.  Become a monthly Sustaining Circle member! Our Sustainers provide stability – both to the Warehouse, and to the families we help. Continue to make a difference in our community – even after your lifetime. A bequest to Community Warehouse gives you peace of mind, knowing that you’ll make a positive impact for years to come. Any bequest, large or small, has a remarkable impact on our mission, and ultimately, on our community. A bequest can include more than just cash – it can also include securities or property. So if you’re unable to make a monetary gift, you can still pass along any furnishings or homegoods, which are just as crucial to our mission. And, all gifts are exempt from federal estate taxes. If you let Community Warehouse know of your plans, we’ll express our gratitude now by recognizing you as a member of our Legacy Society. “I bequeath ($____ or _____% of my estate) to Community Warehouse, located at 3969 NE MLK Jr Blvd, Portland, OR.” Or, you can designate Community Warehouse as a beneficiary of your retirement account or life insurance policy. You can modify your bequest at any time if your circumstances change. Community Warehouse is great! I was unaware these resources existed. This program and my case manager saved my life.